V-Note Video Analysis Software® is compatible across many platforms while at the same time benefiting from the affordances of each device. 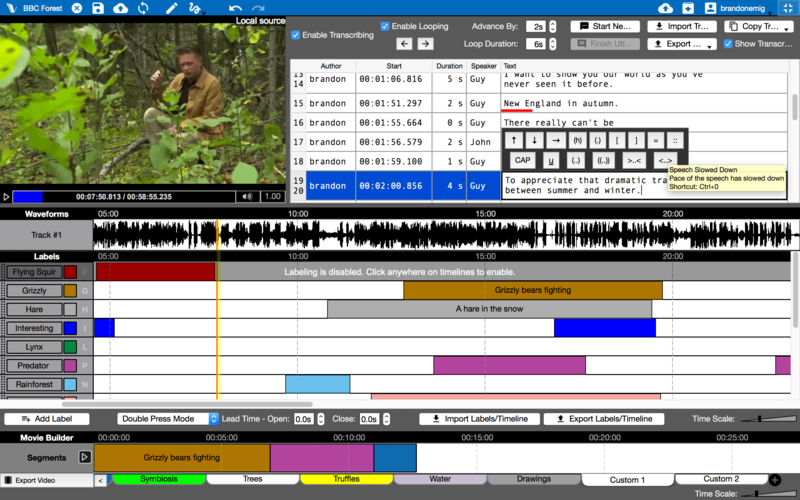 For example, with V-Note iPad Edition, you can record video (or just audio) and code instances of it in real time. 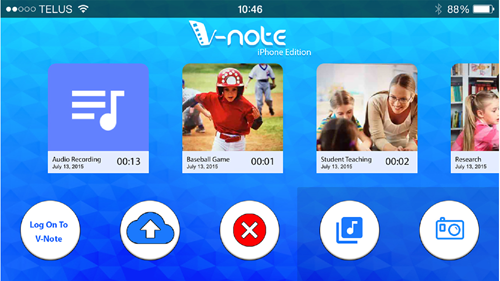 V-Note also lets you share with others and with yourself across all devices. Many of our versions are even free. We strive to make our other versions and our cloud-based collaboration services very affordable for everyone. V-Note Cloud-Based Collaboration Accounts are free and server space is offered free to all users too. Each version is described and shown below. Includes all the following features! Export Raw Data (CSV, XLS), Transcripts, etc. V-Note iPhone Edition® is very easy to use. 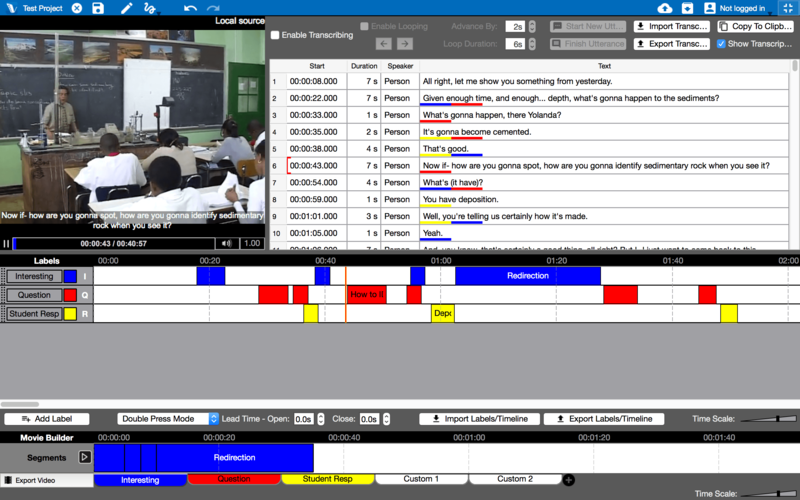 It lets you record and analyze your video (and audio-only files) even as you record it, all the while adding labels. Make buttons for any speaker, player, or event type. Once done, you can upload to your cloud-based V-Note account (create V-Note account here) and share with your computer's or iPad's version of V-Note, or even share with others. 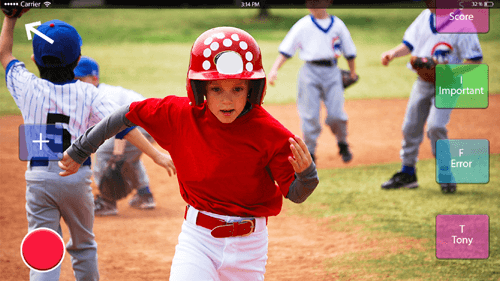 Portable for on-the-go work and easy to use and learn, V-Note iPad® Edition is great for sports, research, or collaborating on video analysis. V-Note iPad® Edition works similarly to the iPhone Edition. Apply labels to your video or audio even as your record, and then upload your projects for sharing. 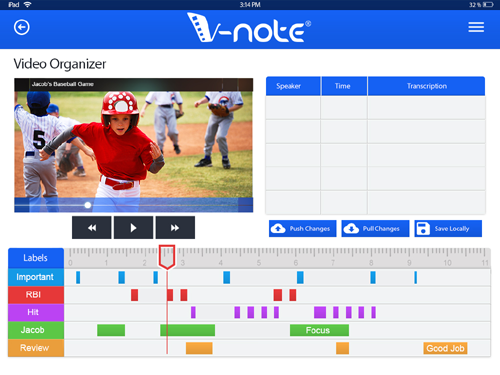 V-Note iPad® Edition also lets you apply labels to pre-recorded videos or to videos that have been shared with you by someone else. (create V-Note account here) Want to analyze your videos on the couch? 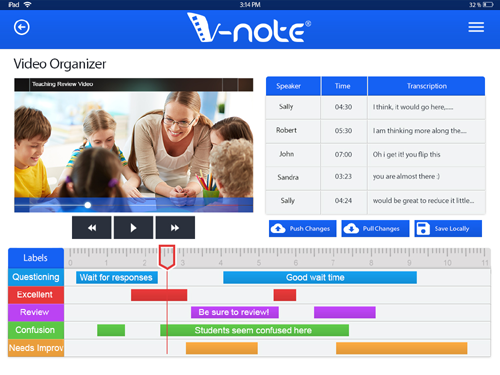 V-Note iPad® Edition has got you covered? If you use external recording devices and you would like to generate a very small timeline-only file for V-Note, with our V-NOTE TIMELINES app that can be sent quickly (no accompanying video or audio) via email or otherwise and then added and synced up with a V-Note Project.